The very cool component of this service is to have a very easy email adress ! Imagine if you are a plumber, to have the adress plumber@chx.fr and work in Chamonix ! This is the best way to communicate the image of your company when you give your email adress to a customer. We have for example the adress “helico@chx.fr” created by Chamonix Mont Blanc helicoptère, for them it is a good way of communication, and the possibility to be remembered by their customers ! End of the emails hacking stories ! The Mail box service in @chx.fr could help them because these accounts could not be hacked, that’s the concept of the private emails boxes, users have to contact Easyclix for example if they want to change their password, it limits risks at all points of view ! Visibilité Pro : a local directory oriented S.E.O. 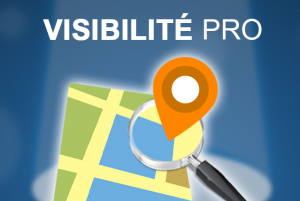 Created by 2 enterprises of Chamonix (Easyclix and Planet-Hi-Tech), Visibilité Pro is a local directory created to put professionnals on it that haven’t a website or any informations on the Internet, and that want to appear on it to be viewed. The way of Visibilité Pro is to prove that it is important today to have a website, and, after 1 or 2 years on Visibilité Pro, create a complete website, by return the SEO done on V.P. to the future website, and be in 1st page of Google on some keywords.